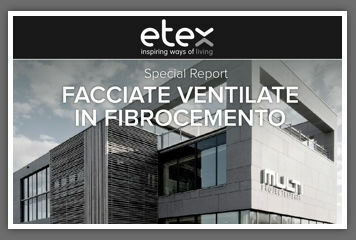 Creaton Italia is an Etex Group Company who develops innovative and highly aesthetical façade materials designed by and for architects. Launched in Italy 4 years ago EQUITONE has been very successful since the beginning with architects, general contractors and keeps experiencing excellent growth. Our main focus today is Lombardia, Veneto,Trentino- Alto Adige, Emilia-Romagna & Friuli with ambitions to develop in other selected markets in the Country. EQUITONE is now specified and installed on important projects with the top Architect firms, and important General Contractors. This is an exciting opportunity for an energetic sales expert who is thrilled by the opportunity to help build a new business in the early stage. You will be backed in these efforts by a proven lead generating online marketing strategy, and a highly experienced international EQUITONE team. To apply please see the LinkedIn link: CLICK HERE or send your CV to hr.creatonitalia@etexgroup.com.